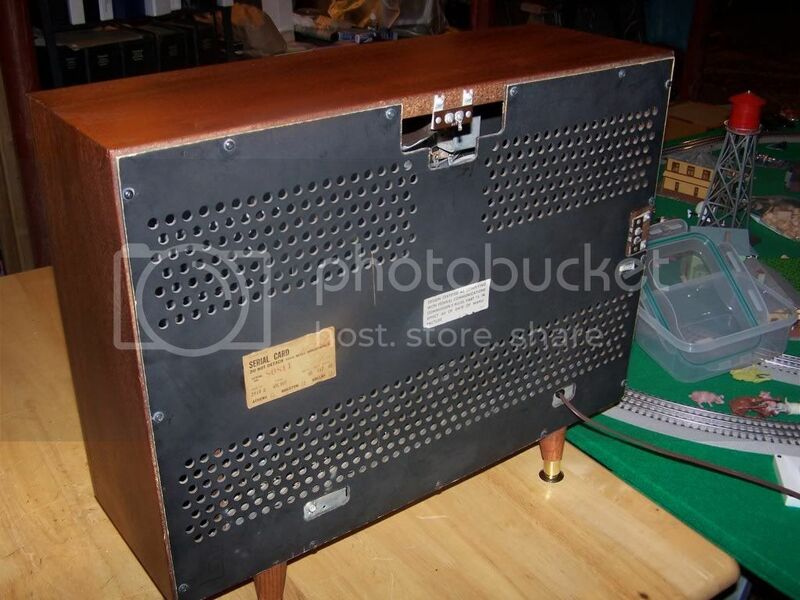 Antique Radio Forums • View topic - A short history of the once famous Curtis Mathes Company. A short history of the once famous Curtis Mathes Company. 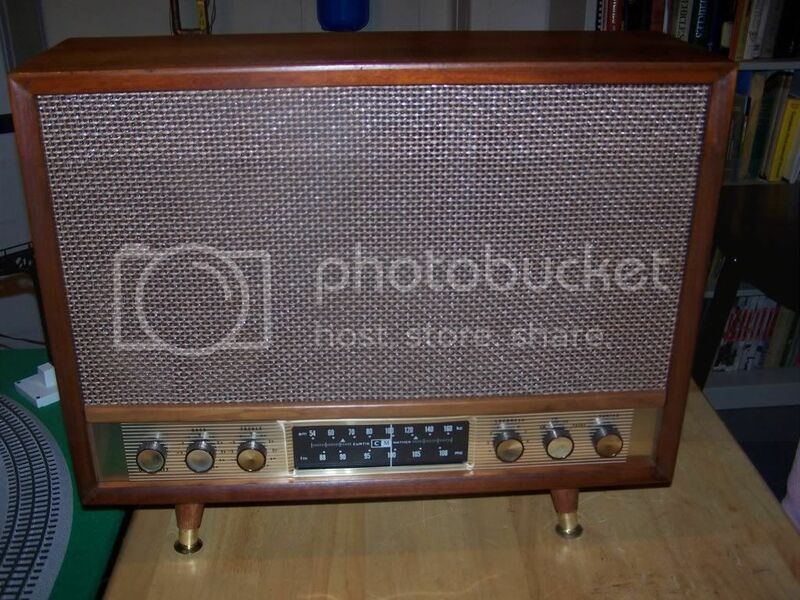 Hi adamc thanks for the interior photo of the radio above Karah's photo! it does not matter if it is bad news about Curtis Mathes or good, just show what you have found out while working on their stuff. It really help us understand what went wrong! Hi WaveMagnet, What a wonderful Curtis Mathes, It looks like one of the later models around 1985 I believe. The last fighting attempt at producing a fine piece of American workmanship. I will investigate! Here is Album number 4 for the weekend viewing. The CM stereo console below is a larger scale model in the French design. I am not sure of her name however. See you in the 60's Glenn. Last edited by Glenn Waters on Mar Mon 01, 2010 9:38 pm, edited 3 times in total. It was $1588.94 out the door!! That was big bucks back in 85. Last edited by Glenn Waters on Mar Mon 01, 2010 9:37 pm, edited 2 times in total. The Grantley is sharp, Mr. Waters. It's a shame it didn't fly. Hi akent36! Thank you, if only it had been built. It is truly tragic how many wonderful concepts, designs and ideas end up in dumpsters because of lack of funds. Here is a cool brochure from the early 1960’s. Here's my early 60's CM B&W combo console, it has a new CRT and a rebuilt tuner and was working last time I tried it though it needed some caps in the vertical replaced. 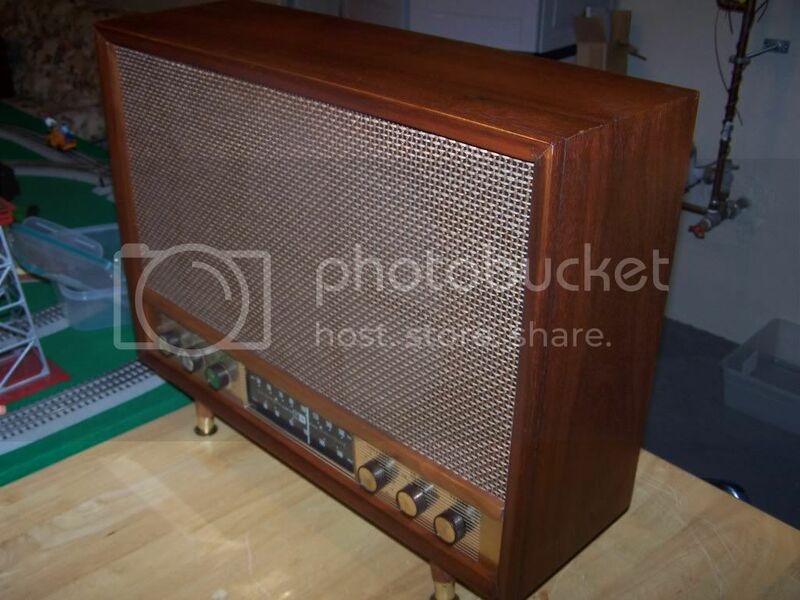 It's a back breaker, made of dense, heavy particle board covered with real wood veneer. It's in great shape really but in this picture it's dusty and dirty looking. This is quite a thread, thanks to all and especially Glenn. My parents bought this model console new in 1963...I was three and learned how to operate it. It was used for many, many years. I heard and played my first records on it. I think this console is the reason why I am a tube nut. That smell, that sound...nothing like it. For tonight I have Album number 3 of the Curtis Mathes record collection with “The Provincial” on the back of the cover. Last edited by Glenn Waters on Mar Mon 08, 2010 6:13 pm, edited 1 time in total. Here is todays CM Album number two. Last edited by Glenn Waters on May Fri 07, 2010 6:28 pm, edited 1 time in total. Here is a Another Curtis Mathes Beauty waiting for a new home. This is the “The Provincial” that is on the back of Album three. What an awesome find, as mint as the day she was made in 1960. Yes this is a very elegant console in the French Provincial design. Once again, this is very one that is on Album number three! She has a much more spacious cabinet than her smaller sister, "The Burgundy" in the earlier post above. She comes with a turntable and a stereo FM and AM radio, and she has huge speakers and plenty of storage room. Check out her green eye below. 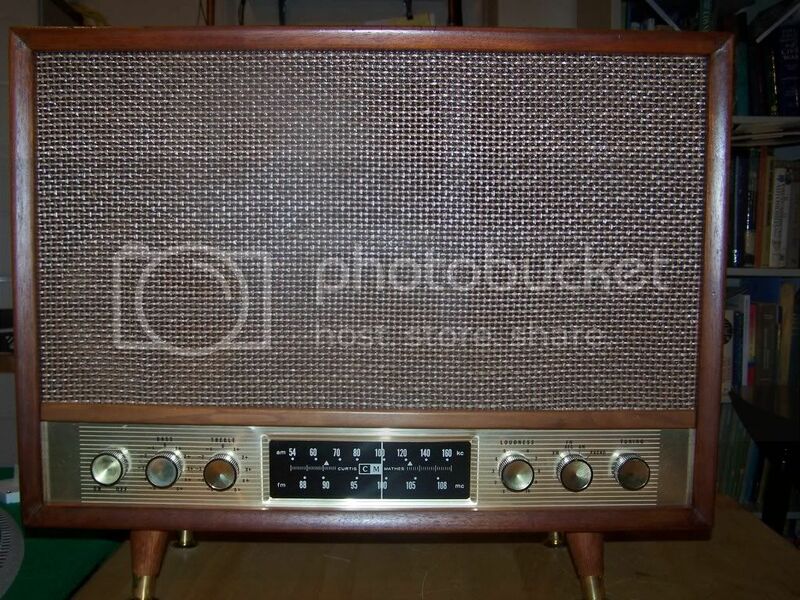 Another beauty this is a Curtis Mathes Radio from the very late 1950's about 1959 one of the first big production runs, same style was popular up to around 1963. I have been noticing that these sets are selling for more money this days! Just a real tight box of a radio that still has a lot of years in her. I was cleaning up my office and found some priceless treasures. Last edited by Glenn Waters on Aug Sun 15, 2010 10:08 pm, edited 1 time in total. My CM-2918A serial#80811 reporting for duty this evening..
Fresh off the bench, recapped, tweakd, fixed, refinished, ect. Added some homemade feet...It's a big bruiser.. I like that Grantley, probably would have been the only combo tv ever with phono, 8-track, cassette, and cd player. I've seen some Zeniths with an 8-track, but I've never seen a tv with a cassette or cd player. Well here is some more from the Curtis Mathes new line for 1961. Last edited by Glenn Waters on Aug Thu 19, 2010 7:21 pm, edited 1 time in total. Back in August 1982 Athens business man C.F. Hawn paraphrasing Mark Twain, said the reports of the Town’s economic demise are premature. “Everybody I run into said “I see Athens is closing up” They’re making a graveyard out of it and the truth is we never missed a beat”. This is a 1985 Curtis Mathes Console in wonderful working condition. I remember working on the cabinet design of this model. It also contains a Record player, Tape deck, and 8 track player. Model number K2675RK. This is for Matthew Corey, hope you get your Royal Dane. Last edited by Glenn Waters on Aug Thu 19, 2010 7:27 pm, edited 1 time in total. Last edited by Glenn Waters on Aug Sun 15, 2010 10:25 pm, edited 1 time in total. Another beauty that was custom built And yes she is still working.